Director Nitin Kakkar said that the film is in a very initial stage. It looks like Sara Ali Khan is going places! After bagging films starring Ranveer Singh and Sushant Singh Rajput, Sara will soon be sharing the screen space with her father Saif Ali Khan in Nitin Kakkar’s upcoming yet-to-be-titled project. The film will focus on the father-daughter relationship. “Yes. 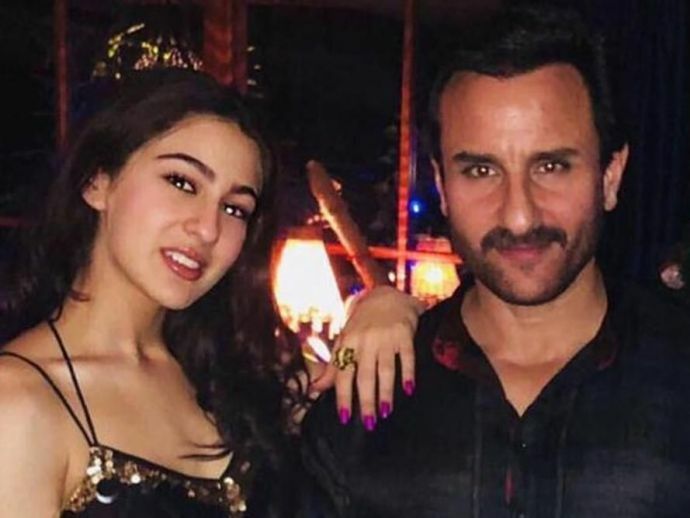 It is true that I am doing a film with Saif Ali Khan and Sara Ali Khan, but it is too early to say more than that. I narrated the story to both and they have seemed to like it. We are now working on their dates," Indian Express quoted Kakkar. “As soon as the dates are finalized, we will start shooting the film. We are working on all the paperwork that is needed to be done before the film goes on the floor. We haven’t even zeroed in on a title yet, but we have a few ideas with us. So, as soon as we work Saif and Sara’s dates and once we finalize the film’s title, we shall be able to announce the film," he added.